This time it was trip to South East Queenland, I started at Hervey Bay and worked my way south to Bribie Island just north of Brisbane. As is the case with many of these trips, its seeing who is still there and who is not. 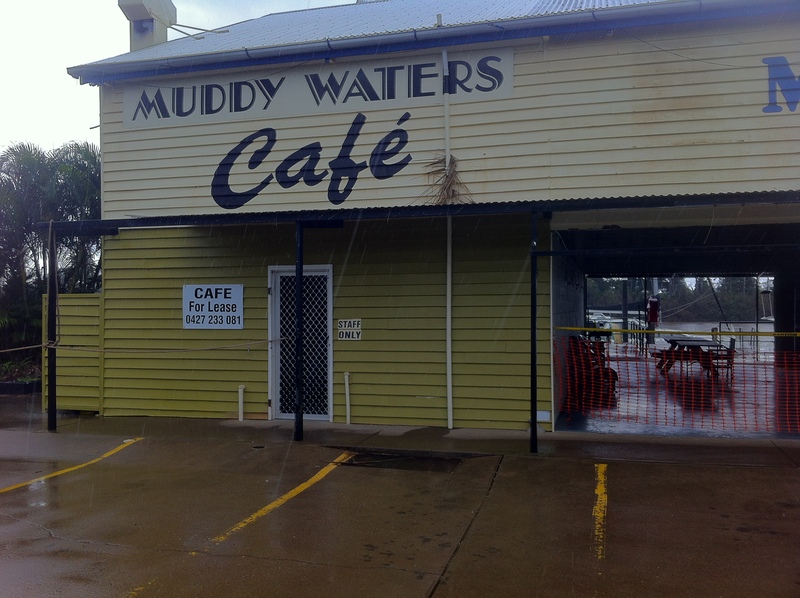 The first photo is from the Mary River Marina at Maryborough. As can be seen by the debris on the downpipe, they have had an issue with floods in the last few years. The area where you can see through used to house the chandlery in pic2. Bill and his team had had enough of the floods and made the move to Urangan at Hervey Bay It’s a sad state at the Marina, but you can understand why he made the choice to leave. 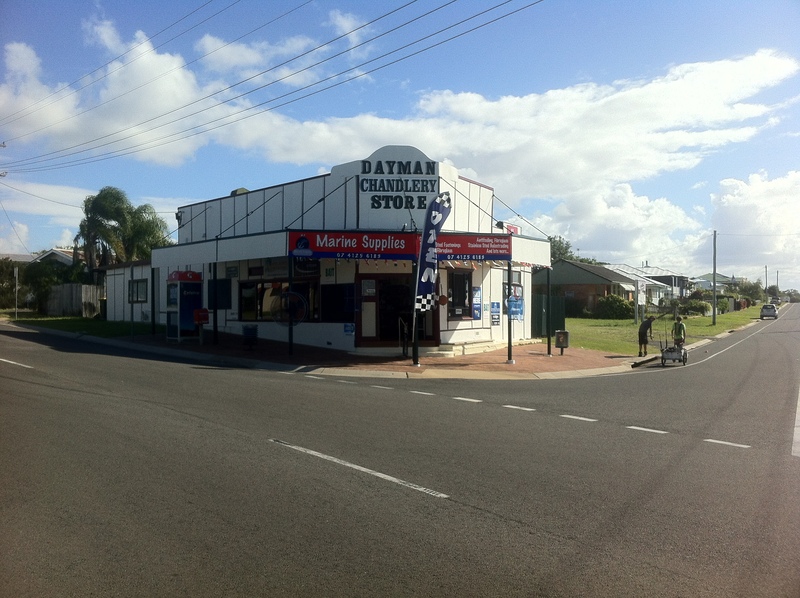 Should you have the opportunity to go to Hervey Bay, drop by and see Bill, he’s walking distance from the marina. Pic3 show’s one of the great Aussie wonders – a Big Thing. 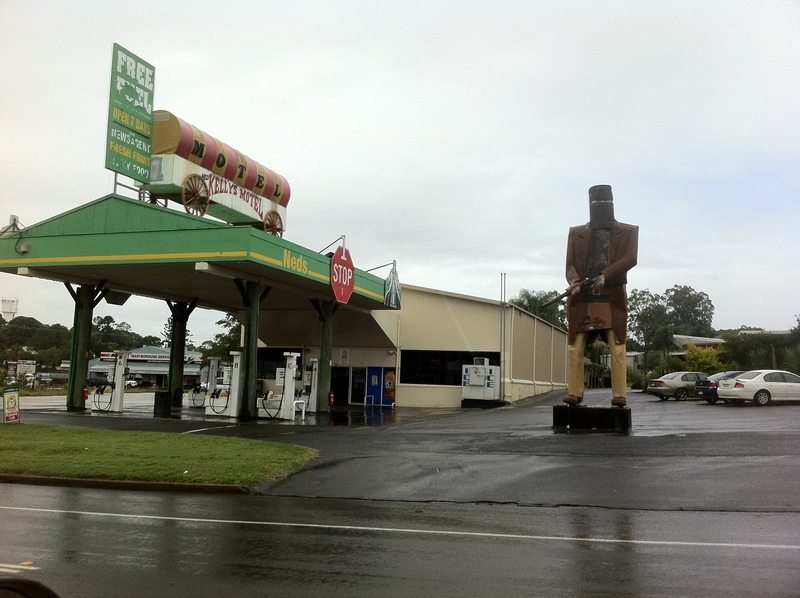 I’m yet to work out what relevance Bushranger Ned Kelly has in Maryborough, he did most if not all of his thieving down in Northern Victoria. 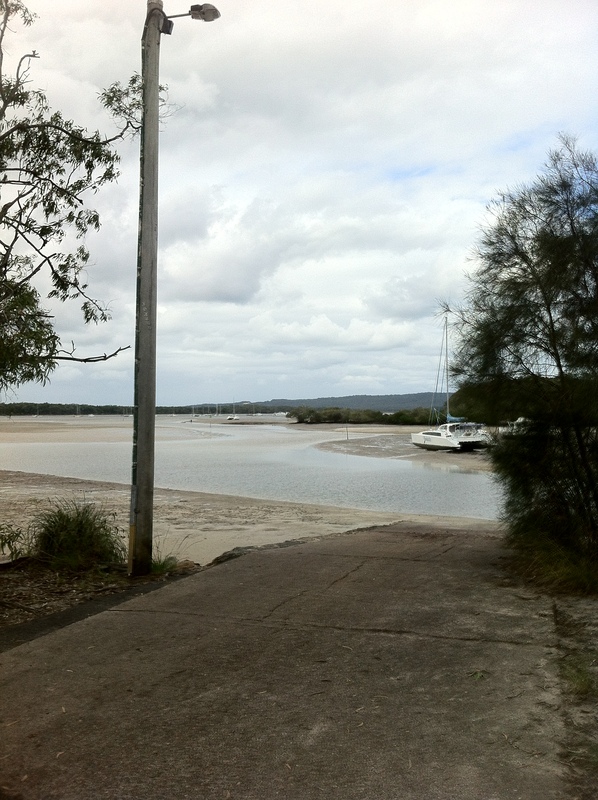 Pic4 shows the boat ramp at Tin Can Bay, the Southern end of Fraser Island – Urangan being the Northern tip. As can be seen by the photo, it’s a fair hike out to the moorings at low tide. It would be at least a mile or so, a bit of planning would be needed going to and fro. It was a full week on the road seeing just over 40 of DeckHardware’s customers, both old and new. It was good to catch up with a few of the builders and retailers and see what everyone was up to. With two new 60′ Multihulls in build near Noosa and a 45′ center cockpit cruiser being built near Mooloolaba, it’s good to see Australian tradesmen hard at it. I had the opportunity to show a range of product, with nearly 10,000 now across 18 suppliers there’s always something that someone hasn’t seen. In the coming weeks, it’s back up to Queensland to see those in Brisbane and on the Gold Coast. I’ll also drop by Sanctuary Cove and see how the boat show stacks up this year.